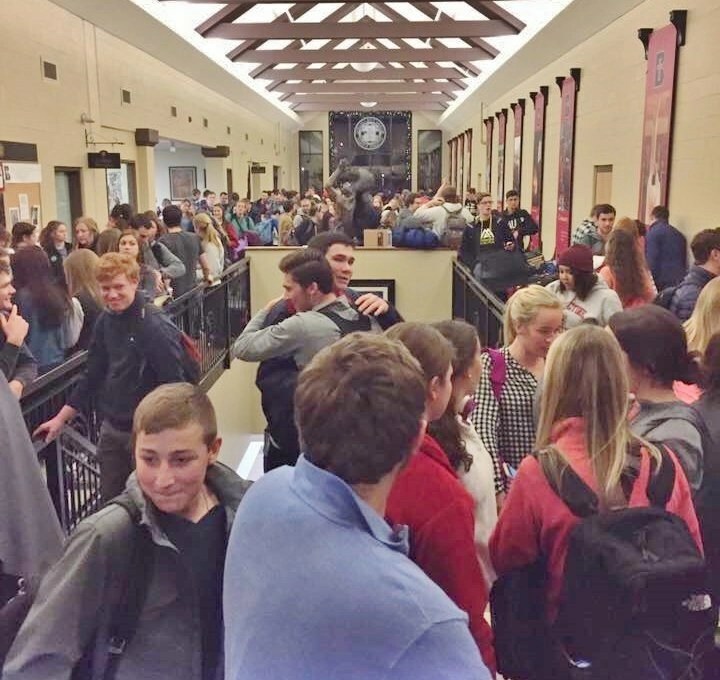 On Jan. 2, six buses left Benedictine College’s Atchison, Kan., campus. 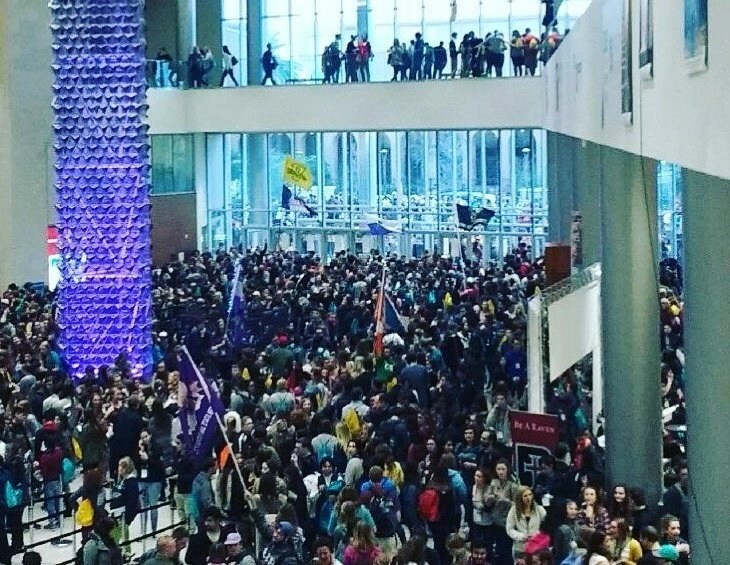 They were headed to SEEK 2017, this year’s national conference for FOCUS (Fellowship of Catholic University Students) that attracted 13,000 students from universities nationwide. 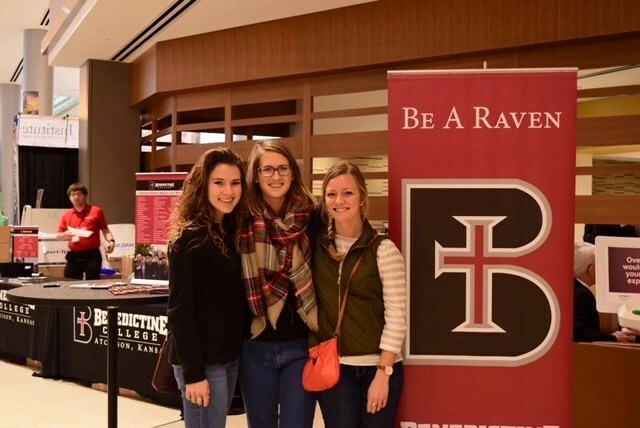 Benedictine College was a partner in the conference, promoting Catholic identity in public life nationwide. 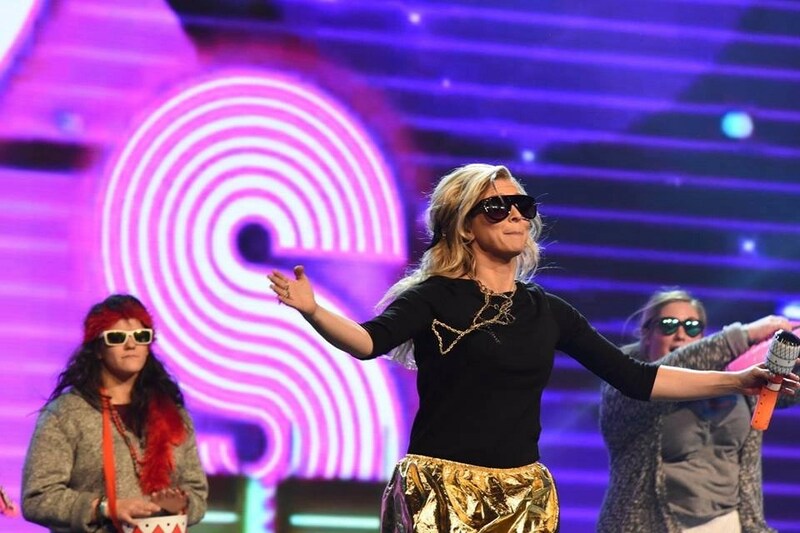 The conference saw powerful works of grace. 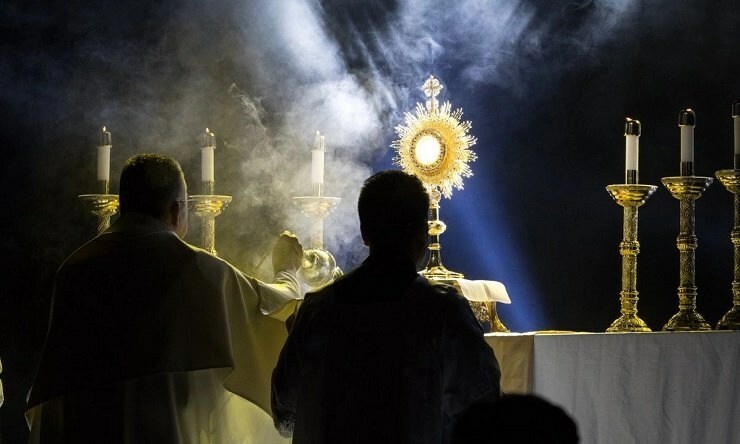 “Can’t be in a better place than adoration with 13,000 students, where the line for confession is cut off by fire marshals because it’s too long,” said another. Benedictine students had high praise for the conference. Benedictine College and FOCUS have been walking together for a long time. Benedictine President Stephen D. Minnis joined FOCUS founder Curtis Martin on stage Jan. 5 to talk about the college’s role in FOCUS, after a college video played. President Minnis answered by praising Martin’s work. “Less than 20 years ago, FOCUS was founded on Benedictine College’s campus. They had literally one campus and two missionaries. 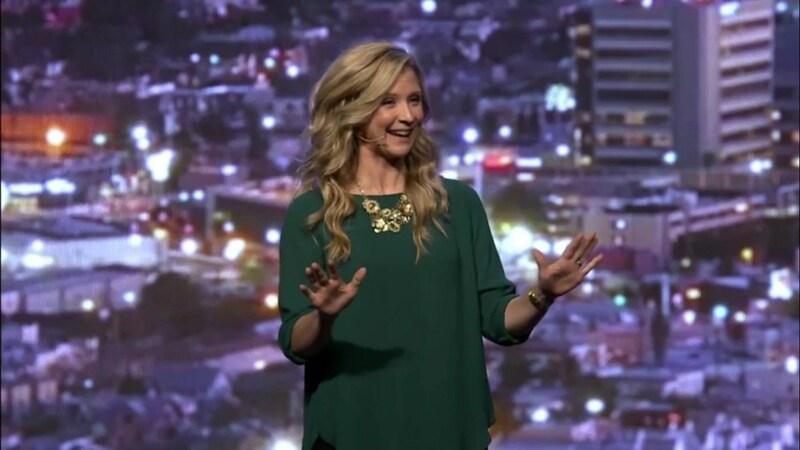 Today, FOCUS has 125 campuses and over 500 missionaries,” he said. FOCUS serves students through Bible studies and trains them to be effective parishioners after graduation. Minnis recalled the first SEEK conference in the year 2000 with 100 people. “There’s a few more people here tonight,” he said. There are a few more people from Benedictine, too. In addition to the 360 students, the college brought 18 faculty, staff and administrators, including more than half the college’s leadership team and five monks and sisters from Atchison’s Benedictine communities. 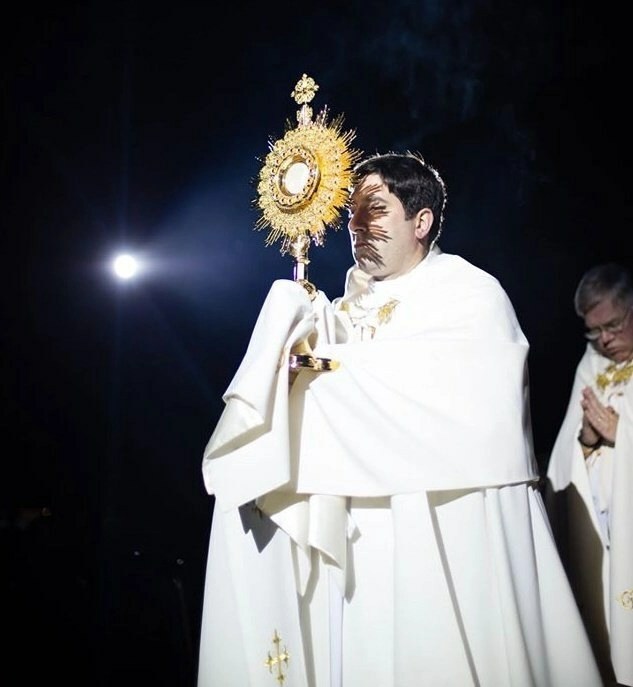 Below, enjoy some images from Benedictine College at the SEEK conference. Benedictine SEEKers meet on campus. Setting up Benedictine College at SEEK 2017. Gathering for SEEK 2017 in San Antonio. Benedictine’s Sarah Swafford introduces a speaker. 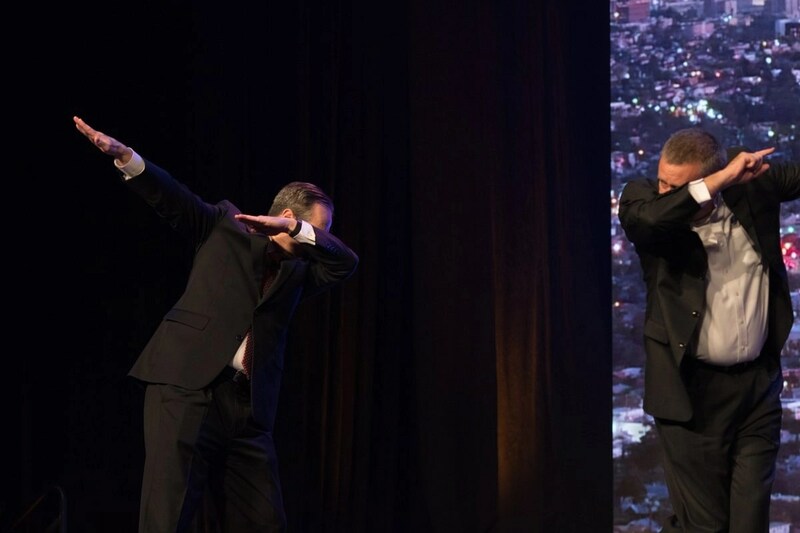 President Minnis and Curtis Martin dabbing. 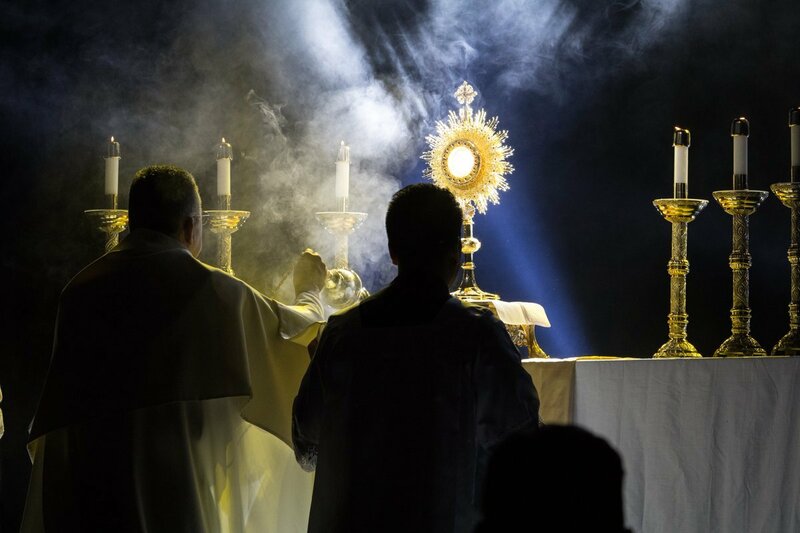 Adoration of the Blessed Sacrament at SEEK. 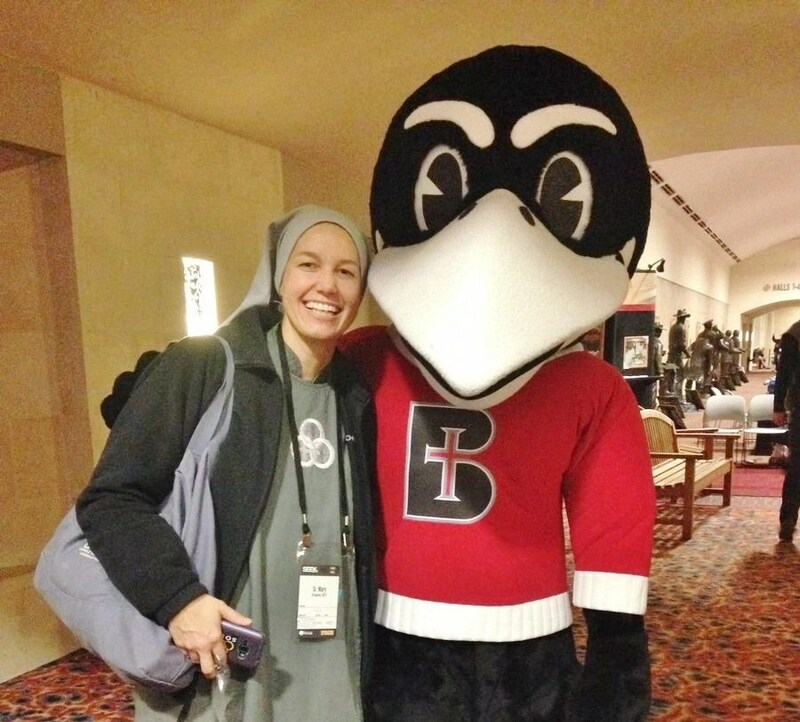 Rocky meets Benedictine alumna SOLT Sister Mary Elizabeth Albers. Benedictine’s Sarah Swafford leads the crowd.